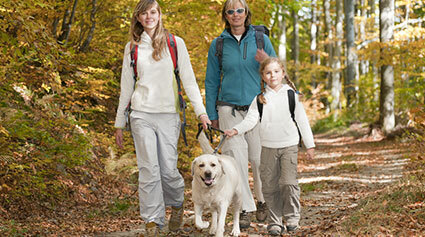 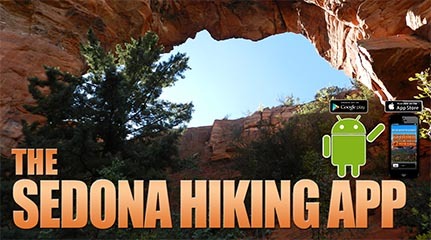 Sedona is the jewel of the Verde Valley. 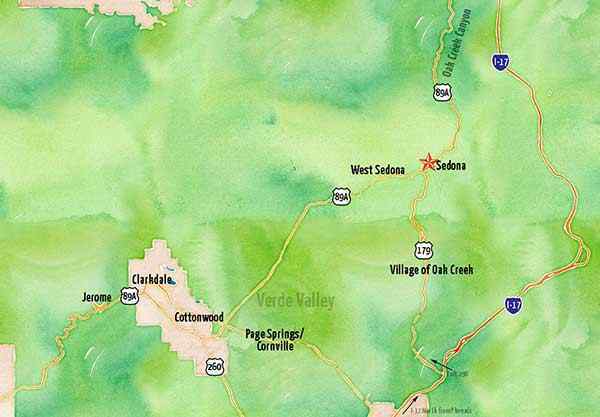 This central/northern Arizona swale has, at its economic center, the city of Cottonwood—a former mining town nestled between Sedona and another Verde Valley treasure of Jerome. 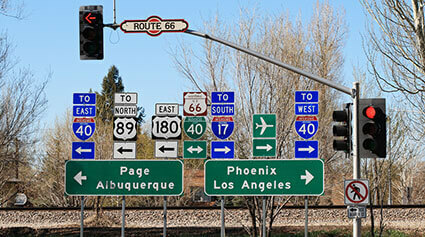 Jerome is a one-time ghost town turned haven for artists and bikers. 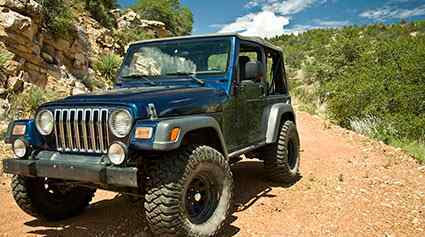 To the east near the town of Camp Verde, visitors will delight in some of the area's most family-friendly attractions: Out of Africa Wildlife Park, Cliff Castle Casino and two national monuments of Montezuma Castle and Tuzigoot. 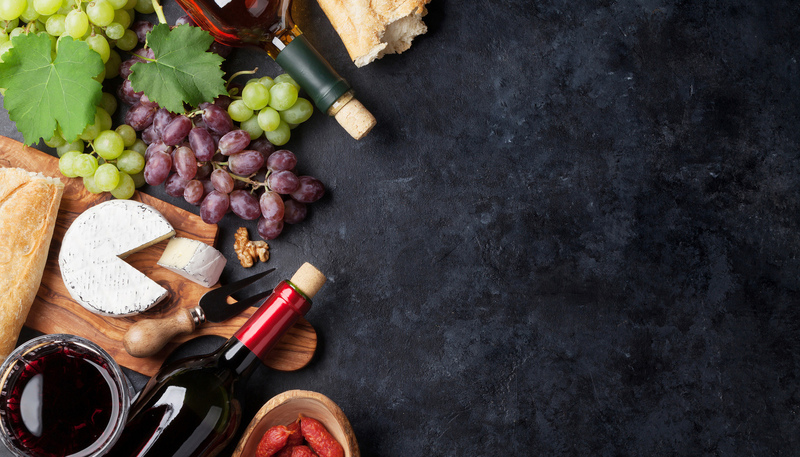 The Verde Valley is also gaining national recognition as a wine-growing region vying for Napa-like status, with nearly a dozen wineries, vineyards and local wine tasting rooms. 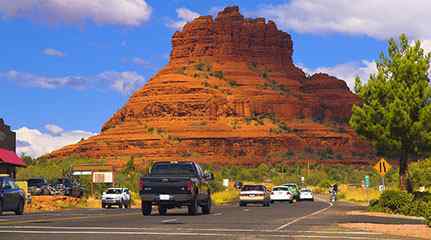 To get to Sedona from Phoenix, take I-17 North 98.4 miles toward Flagstaff, then take Exit 298 and turn left onto State Route 179. 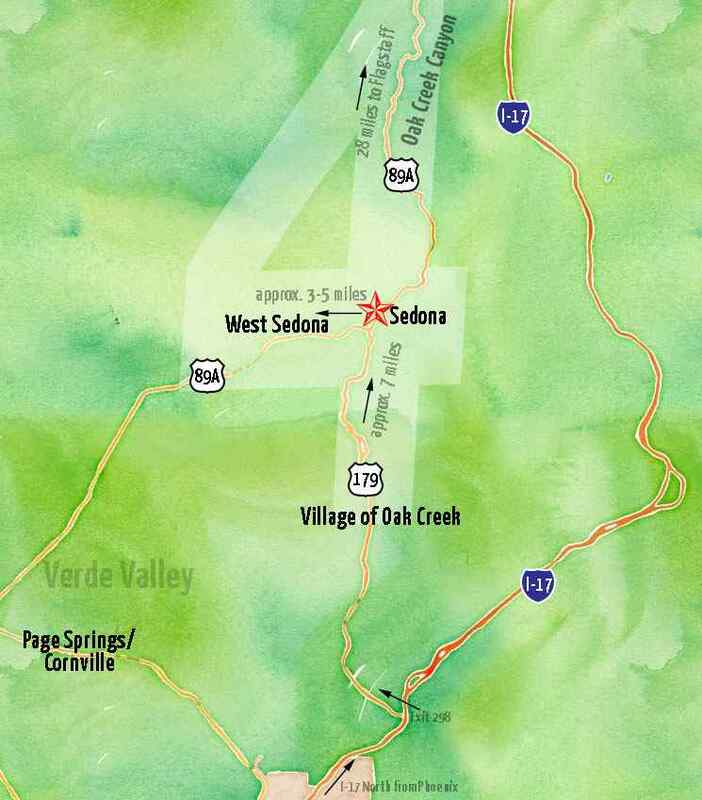 Travel 14.2 miles on Highway 179 to State Route 89A. 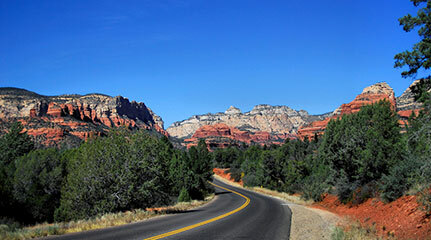 The intersection of Hwy 179 and Hwy 89A is known as “the Y.” Many Sedona attractions, shopping, lodging and other business refer to the “Y” as a point of reference. 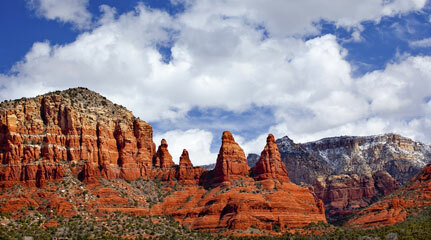 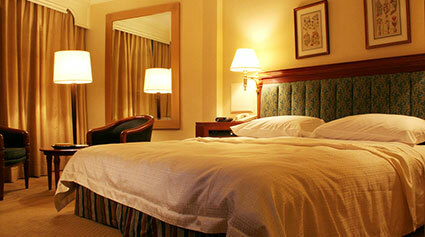 Sedona to the Grand Canyon is one of the easiest and most popular day trips one can do. 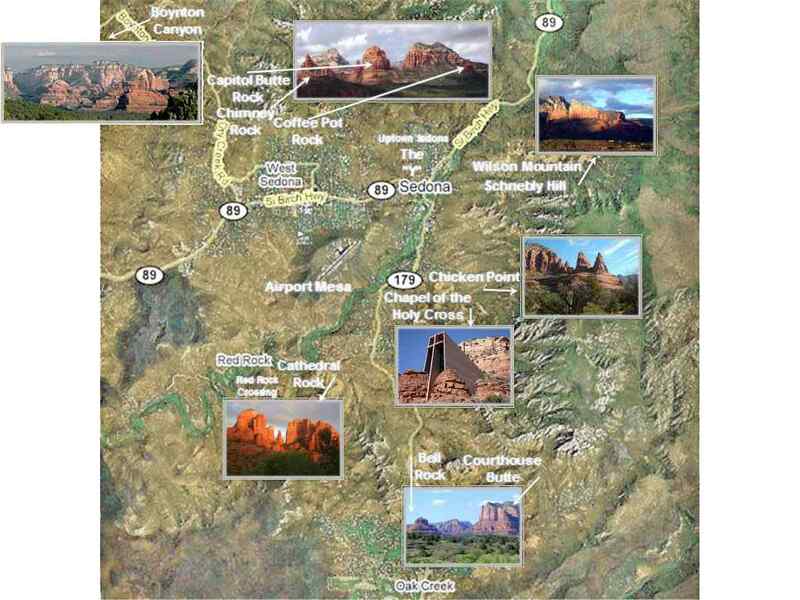 This scenic 2-hour drive has several possible routes, but the simplest and most often taken is Hwy 89A N to I-17 N, then I-40 W to Hwy 64 N to the main entrance to the South Rim of Grand Canyon National Park.